Bbm messenger has decided to join the likes of Skype, Google Hangouts, FB Messenger, Viber, Wechat among others by adding the video calling feature to its chatting app. 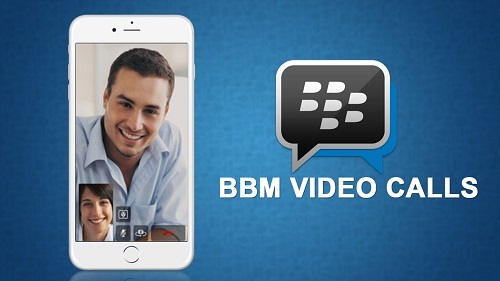 Bbm decided to add a little life to its already dying app by introducing this new feature to all of its users. Although this feature was actually released earlier this year, bbm only limited the usage of the beta version to just USA and Canada. But now that the app has attained a certain level of stability, they have decided to finally release it to other part of the world including Africa. ==> For android users, your device must be running on android version 4.4 KITKAT or later. ==> For IOS users, you must be on iOS 8 or later. ==> On both iOS and android, just make sure you update your Bbm messenger app to the latest version from your respective app store. ==> Update your bbm app and launch it. ==> Tap the icon to initiate a call with one of your BBM contacts. ==> You will asked if you want to make a voice call or try a video call with the beta feature. ==> Select to try a video call. Note: If you don't get that request then the new update is probably not available for your device yet. Nice one, keep rocks, thanks for sharing your valuable ideas.